With fewer and fewer boats in the water, I have been fishing mostly from shore. I seldom leave home without a bag full of tackle boxes, and a couple of poles on my car. I had heard promise of good-size bass in the surf up-Island. 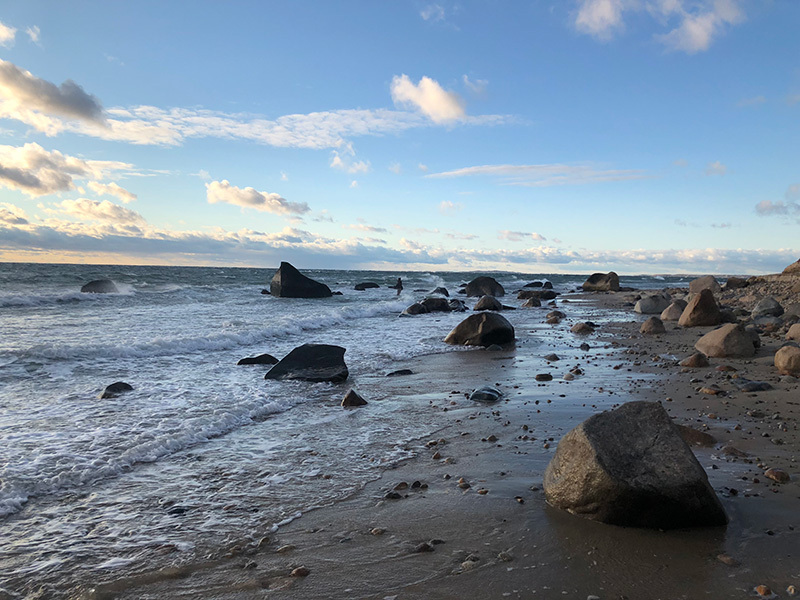 Knowing that not everyone is game for a late October stroll into heavy surf, I called my good friend Gary Stuber, who is always up for an adventure. Gary and I headed up for a cold evening of surfcasting. Though there had been fish there the day before, we totally struck out. The sunset and empty beaches were our reward. Not a soul on the beach as far as the eye could see, and a sunset that reminded us just how lucky we are to live in such a majestic place as this. Last week I had multiple people reach out to see if I would like to go out for one last boat trip. Unfortunately all of the invitations were for the same day, so I was only able to go on one trip. I headed out with my friend Phil Levesque in order to run through any issues that need to be addressed over the winter with his boat and, of course, to fish! We started out around 6:30 am; the sun was just coming up, and the air temperature was only 36°. Both of us were having second thoughts about the trip, though neither of us expressed them. The wind was higher than we had expected, and by the time we loaded the boat, I could barely feel my fingers. We stuck with it and headed for the leeward side of the Island. By the time we got to the rips off Wasque, the wind had calmed down and the seas were more manageable. 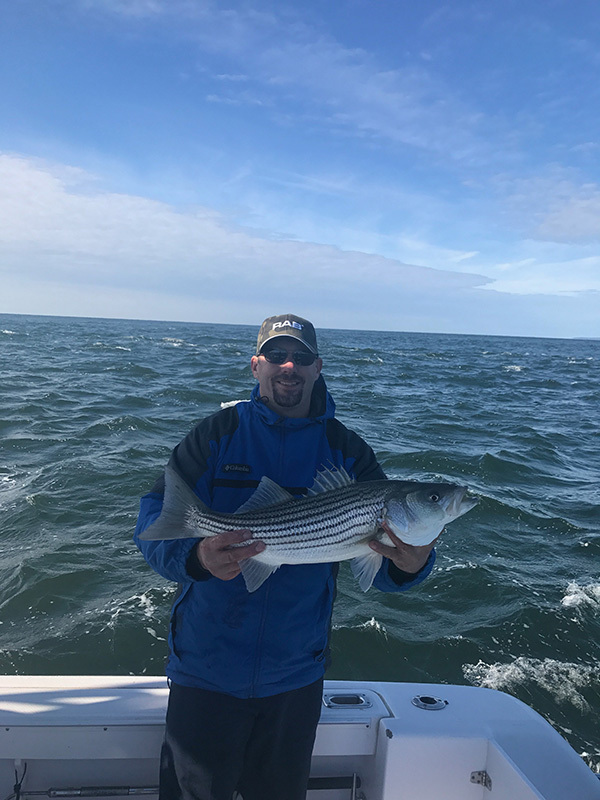 Within minutes we were hooking up on striped bass, one after the other, sometimes both of us hooking up at the same time. By the end of the day our closest estimation was about 37 striped bass landed. Of course with this kind of numbers, they were all undersize though some were close. It was a blast to catch that many fish regardless of size, and all of them were released safely. Before heading in, we decided to go a little farther out from shore toward the Hooter, where I hooked up on the big bluefish that eluded me during the Derby. All said, it was an absolutely fantastic day on the water, and we both went home with a couple of good-size bluefish. If that is my last trip on the open water fishing this season, I can rest easy this winter, though I am selfishly hoping one more opportunity will present itself. 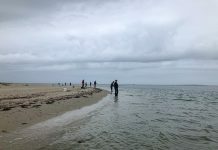 Though big storms have been churning up the water and pushing everything around, there is still bait around, with big schools of bass being reported on the north and off Wasque. 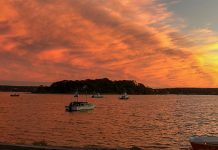 Bass have also been reported inside the bays and ponds, which offer a bit more protection from the gusty winds that roll in through the fall. 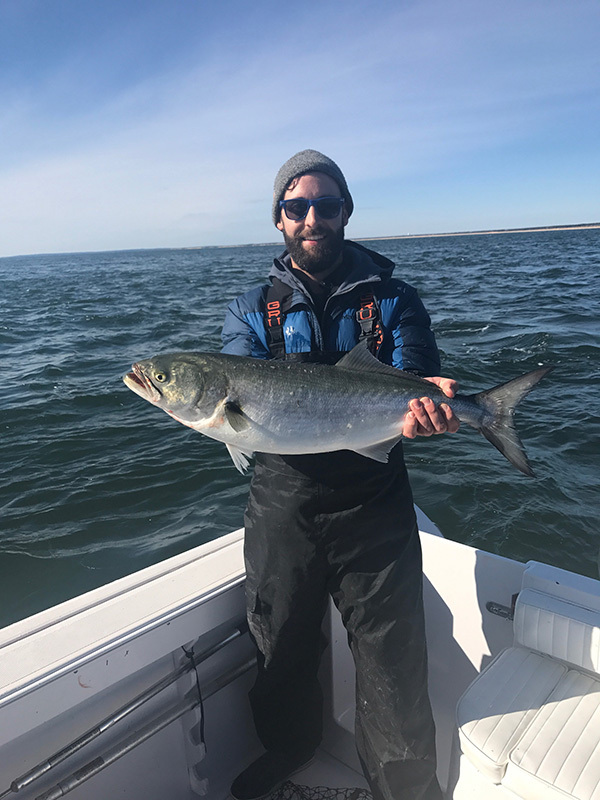 Bluefish have still been breaking in Vineyard Haven, as well as between Wasque and Nantucket. Most of the albie and bonito fishing has slowed down, but every year intrepid anglers seem to find them into November. 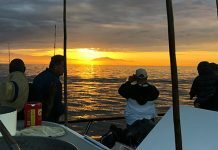 Fishing is becoming a little tougher, but there are definitely still fish to be had, and there is less and less competition out on the water. Layer up and go get ’em!